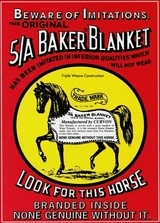 At this time, the Baker Blanket Factory Direct Online Store is only able to ship to the United States. We ship via UPS and offer ground, 3rd, 2nd, and overnight shipping options. We do our best to ensure all orders are shipped out within 48 hours. All orders ship from Tinton Falls, NJ via UPS.